The straight and structured styles of autumn-winter 2012 are being replaced with hairstyles that are wild and full of volume for spring-summer 2013. Let’s take a look at XXL curls. The full-bodied hair trend. 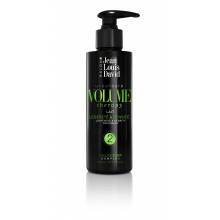 Your hair is looking for every way of boosting the volume. Firstly, because it often looks prettier that way, but also because it’s a big trend for this new summer season. You’ve already seen the side parting used to boost volume, but what about hairstyles? To boost the volume, it’s no secret, you need to backcomb your hair, use styling products and get handy with your styling tools. To bring out its wild side, which we like to save for spring-summer, stick to looser styles for a boho vibe. Creating maximum volume curls. This style is suitable for normal and fine hair, as long as there’s enough of it! It’s difficult to create this style on thick hair. Start with the curls, then you can think about the rest. To create these tight curls, use small-barrelled curling tongs. Be meticulous, working on the finer sections as well. Once you’ve curled all of your hair, “break” the curls for a natural result. To do this, use a brush, a wide-toothed comb or your fingers. Scrunch up your curls in order to loosen them and boost the volume. Concentrate on the ends to create even more volume. For a perfect finish, apply a serum to the mid-lengths for added shine.